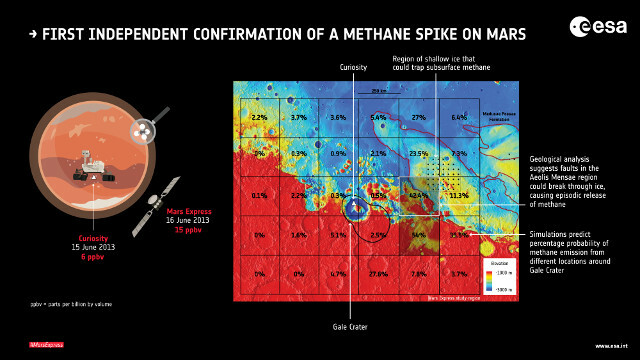 An article published in the journal “Nature Geoscience” reports an independent confirmation of the detection of a methane peak on the planet Mars, east of Gale Crater, where NASA’s Mars Rover Curiosity is operating and detected the presence of methane. 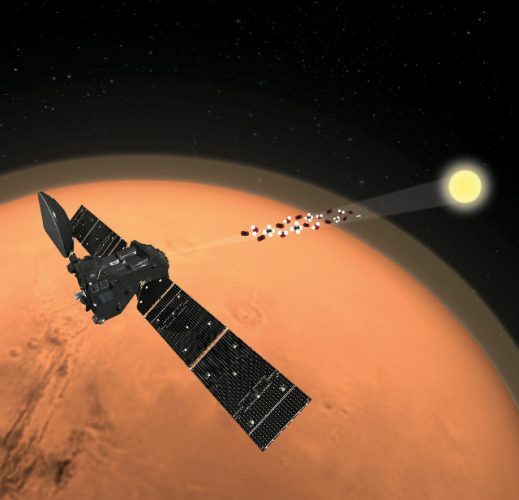 However, a team of researchers led by Marco Giuranna of the Italian National Astrophysics Institute in Rome used measurements of ESA’s Mars Express space probe’s PFS instrument to find methane. Independent detections carried out in orbit and on the ground with very different instruments are crucial in this research because methane can be produced by biological processes but also by geological processes. ESA has published a series of photos taken by its TGO space probe’s CaSSIS camera, part of the ExoMars mission run together with the Russian space agency Roscosmos. 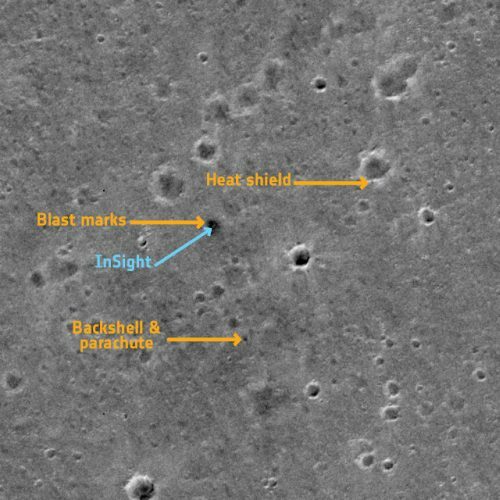 CaSSIS found NASA’s InSight lander on the surface of Mars along with its heat shield, the back shell that protected it during the descent and its parachute. In the course of its mission, CaSSIS also captured extraordinary images of various areas of the red planet showing the great potential to help researchers in their studies. An article published in the “Journal of Geophysical Research – Planets” report geological evidence that on planet Mars in ancient times there was a system of interconnected underground lakes and five of them could contain minerals essential for life. A team of researchers used data collected by ESA’s Mars Express space probe to investigate what are now basins, deep craters in the red planet’s northern hemisphere, finding evidence that they once housed lakes. 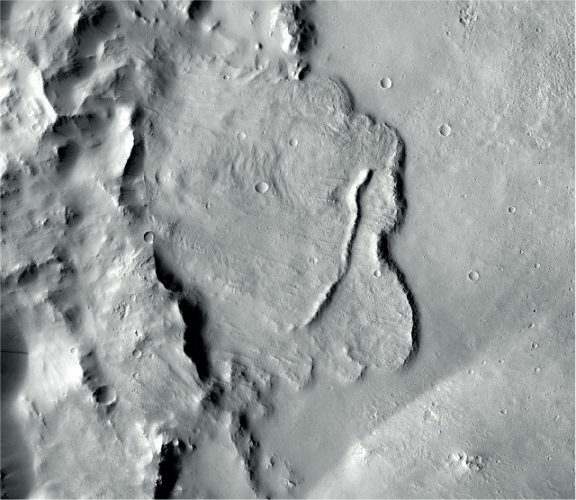 ESA has published some images of an ancient system of trenches and river valleys near a large crater with a diameter of over 450 kilometers north of the great Hellas Planitia basin on the planet Mars obtained thanks to the Mars Express space probe’s High Resolution Stereo Camera (HRSC). The signs of water flow are mixed with the craters caused by impacts occurred between 3.5 and 4 billion years ago in that area of ​​the Martian southern hemisphere showing the different processes that were taking place when the red planet was young and much more similar to the Earth.